We’ve all had a backed up toilet, a clogged sink drain, or a water heater failure at some point. But what if your biggest plumbing problem is hiding all the way in your sewer line? Learn the signs of sewer line failure before pungent plumbing problems are piped right into your home. Critters are crawling into your home. The average rat has a girth of three or four inches, but can fit through through a hole the size of a quarter. This means that your neighborhood sewer rats can easily travel from the main sewer line into your home’s sewer line and invite themselves into your home (especially if they’re attracted by some appetizing smells along the way). If you suddenly have rodents occupying your home, there’s a good chance you have a sewer line failure on your hands. This is something that needs professional plumbing and exterminator attention, as rodents often carry life-threatening diseases like Hemorrhagic Fever and Plague, which can be transmitted through inhaling particles of rat droppings, or being bitten by a rodent carrying infection. Poo is pooling in your yard. Your grass is greener than usual. Animal waste acts as the natural fertilizer of the world; it’s one part of the beautiful cycle that keeps both plants and animals fed. When animals poop, their feces leaches into the ground, enriching the soil and accelerating plant lushness, growth rate, and nutrient density. Animals gravitate toward the nutrient dense plants and feast upon them to absorb their nutrients. Then, well, the cycle begins again. So when sewage escapes from a sewer line and enters into the soil below your lawn, it’s no surprise that your grass gets a nutrient boost and becomes extremely lush and green. The only difference is that the waste is leaching in from below, not above. This a surefire sign of a sewer line crack or break in your yard, especially if your lawn develops lushness and color in a season that isn’t optimal for green grass. We know—everything in Hawaii is green and lush all the time. But even a little bit of unexpected “fertilizer” can make your lawn look twice as lush as the lawns of your neighbors. When in doubt, contact the plumbing experts to investigate what’s going on beneath your lawn. This is the easiest way to tell if you have a sewer line failure. 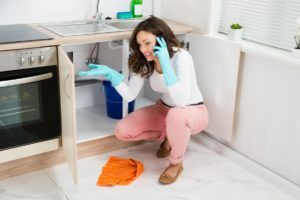 Once again—If you’re experiencing ungodly smells coming from the drains in your home, it’s best to call the plumbing experts to check things out. Waiting can only make problems less simple—and more smelly. The mold is getting old. A cracked or broken sewer pipe behind a wall in your home doesn’t just create a smelly issue—it can make mold take hold of your home. Once a sewer pipe breaks, humidity levels near the break skyrocket, creating an optimal environment for mold to spread. Certain types of mold can appear and thrive with less than 50 percent humidity, so this can become a problem in even the driest of climates. While many molds grow for reasons other than a sewer failure (high humidity, bacterial buildup, etc. ), a mold problem accompanied by a strange sewer smell is a sure sign of a sewer failure in or around your home. Sometimes, there’s probable cause for a clogged toilet or sink drain. Other times, a clogged drain can appear without any cause or warning, or develop slowly over time. In these cases, there’s a high likelihood that a blockage is building up in your sewer, which will eventually lead to a complete sewage backup that could cause damage to your home. While some clogs are high up in your sewer system and can be destroyed using natural or chemical drain cleaners, a sewer line clog is a much more difficult clog to access and fix. This is where professional plumbers with sewer line experience can rid you of the drain problems that drain your energy and your wallet. You have an insect infestation. Insects have an easier time getting into your home via your sewer line than rats do, and could be a sign of sewer issues beneath your home. 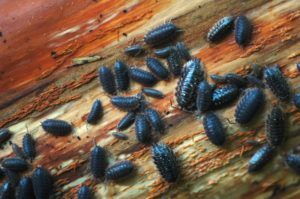 Cockroaches, palmetto bugs, sewer flies, and many other insects love the sewer environment, and can have adverse health consequences once they enter your home. Roaches, for instance, can cause potentially severe allergic reactions (especially for kids) by spreading their feces around your home. Plus, sewer systems are dark, humid, and well-protected, so insects will have no trouble reproducing at a high clip in their new home. Pest control services can be a huge asset in removing insects from your home itself, but if there are insects crawling around in your sewer system, that’s a plumbing problem that must be confronted by a plumbing professional who can root out the insects at the source. Don’t let the bugs bug you any longer—talk to the experts. Homes built on foundation slabs run home sewer lines somewhere beneath the slab before they run into the main sewer system—so once your sewer line has problems, your slab could have problems too. You need not worry about your foundation slab if you’re experiencing sewer line problems for the first time, or have a newer house or sewer line, but if your sewer line has been in operation for a long while, it might be subject to deterioration that can cause slab slouching, cracking, and deforming beneath your home. In the most extreme cases, slab slouching combined with sewer line breakage or deterioration can cause soil saturation and compaction which can lead to dangerous sinkhole formations. Failing sewer line? Drop us a line! Emergency Plumbing & Solar is Honolulu’s premier plumbing service, well-versed in the art and science of sewer line diagnosis, repair, and unclogging. Whether you have a slow-growing problem or a plumbing emergency, we have experienced professionals who are happy to help—no matter where you are on the island of Oahu. Contact us today to fix your plumbing problems! When Sewer Lines Attack Overall rating: 5 out of 5 based on 10 reviews.